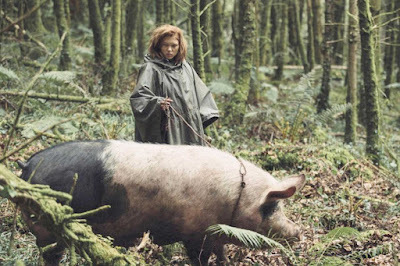 The Lobster is a 2015 black comedy made by Greek director, Yorgos Lanthimos. 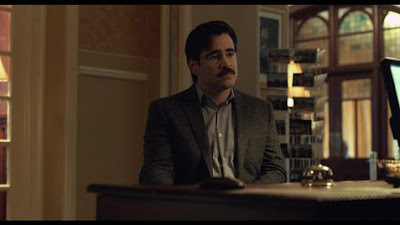 With stars including Colin Farrell, Olivia Colman and John C. Reilly, The Lobster is set in a society where being single is treated like a disease that must be cured. Whether you're separated or your husband died the day before, you're single now and that's terrible. 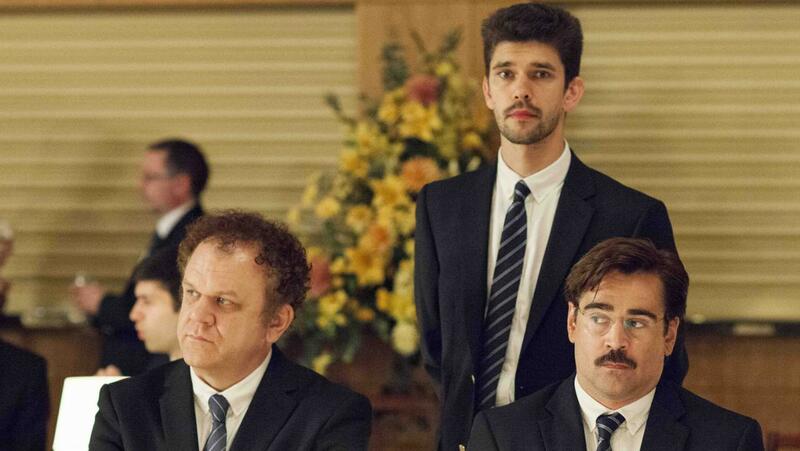 Colin Farrell plays David: newly single after his wife leaves him for another man. He's immediately taken to a special hotel where he must find a new romantic partner within 45 days. If failing to do so, he'll be turned into an animal of his choice, in this case being a lobster. Being an example of smaller films that are released under the radar of the mainstream, The Lobster's existence wasn't noted by most until word of it's awards and acclaim spread. Released near the middle of 2015, it won a few awards at the Cannes Film Festival, earned nominations at the Academy Awards and earned more awards/nominations at various critic circles groups. Accolades and critical acclaim inevitably creates curiosity to see what the hype is about. Whilst evidence of nominations such as Best Screenplay is noticeable, alongside the engaging premise drenched in unique humour, that hits you in an unexpected way, it's not perfect. Like most films, The Lobster does have a couple of cracks, it's just that they're much larger than initially expected. Starting with the brilliant before the drab, The Lobster uses it's the tone and in-your-face metaphors to poke fun at how our culture emphasizes the importance of relationships. Being single = "Oh no. I must be in a relationship and possibly breed or there is no point to life". Taking the metaphor one step further, anyone in the world of this film who does not have a partner may as well just be an animal, making way for the first-class citizens that are people in couples. Being segregated into different areas of the hotel, interaction with the singles and the couples is strictly prohibited. Newly paired boyfriends and girlfriends need their alone time to discuss the weight of basketballs. Yes, that actually happens. Not everyone will understand its humour but if you've ever thought to yourself how certain people prioritise the necessity to be in a relationship and look down on those who aren't in one, you'll laugh. So much. "A lot of people choose to be a dog. That's why the world has so many dogs"
These aren't jokes that are thrown right at you. It's in the attitudes of these characters and thinking about what makes them the way they are. Within the rules of the hotel, all guests must wear gender-specific sets of professional-casual clothes in manner of a uniform. At evening functions, all women are subject to wearing the exact same floral-pattern dress in order to attract suit-wearing men over so they may be asked to dance. Everyone in the film is acting like they all just had a group lobotomy, always talking in a level tone, barely hinting any emotion. There's little to no individuality in them. You as the audience have to wrap your head around what you're continuously learning about this absurd-yet-accepted society as the film goes on. 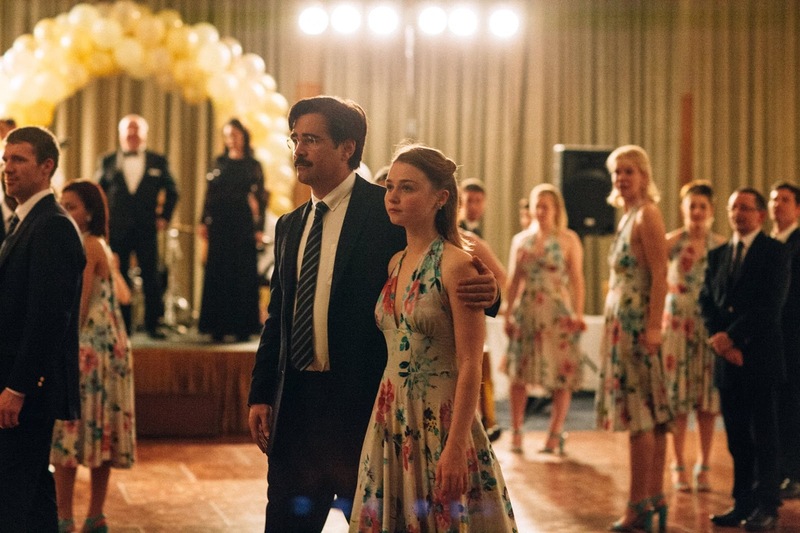 Simultaneously, The Lobster takes Lanthimos' impressions of society's mass need for codependency that lays dormant and brings it up to the surface. Strip away our passions, fears, wants and needs as individuals, it hilariously depicts that we're almost like robots: not trying to be with someone because we are emotionally driven to, but because it's as if we're programmed to do so. That's why everyone in the hotel acts like the emotional embodiment of a bowl of plain Weetabix. They're simply going through the motions whether they like it or not. 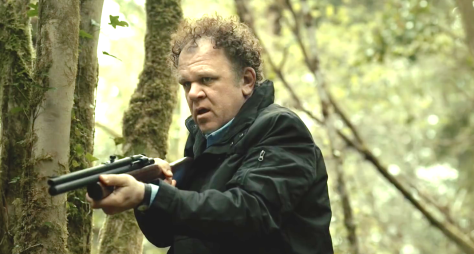 It's not only the priority to acquire a romantic partner that The Lobster parodies. It captures what lengths some will go to reach that goal. The hotel's 45 day limit for guests to find a suitable mate is symbolism of the imaginary ticking clock folks give themselves before they pass the dried up abyss that is the singleton age of no return. 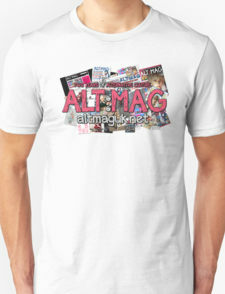 In order to avoid becoming a creature wandering out alone in the wilderness (see those fine metaphors at work, again? ), some lie about their compatibility with a potential partner. Some change who they are in order to create that compatibility, which is basically lying to themselves. Either the lie is exposed or they suppress who they really are in order to avoid being alone. Yey. Wrapped up in a scenario of a man repeatedly hitting his head on hard surfaces to give himself nosebleeds, so he'll have something in common with a woman who genuinely suffers from frequent nosebleeds, the message drawn from real-life insight is fantastic. The forced nose bleeder explains his reasoning to David along the lines of "I'd rather suffer a few nose bleeds then rather be out in the wild alone forever", The repeated jabs at those who prefer to be a in relationship for the sake of it, established on minimum criteria to be socially acceptable, are The Lobster's delightful satire almost at it's peak. Alongside masturbation being viewed as a disgusting act that deters from progressive reproduction with a partner, punishable by hand jammed into a toaster, there's how the hotel provides a solution to conflict within couples: "If you are unable to resolve the tensions and arguments between yourselves, you will be assigned children. That usually helps. A lot". 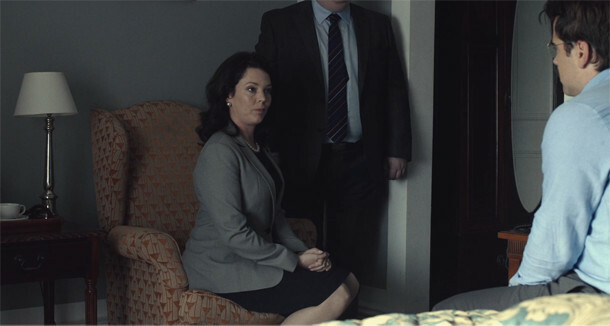 The sarcastically patronising delivery of lines like these by Olivia Coleman alone will have you howling with laughter, representing the absurd individuals who genuinely stick with these ideals that we have have come across in real life or other in entertainment. All of these events mentioned to far take place in the film's first hour. Sadly afterwards, this is where a shift occurs, taking away what made everything up until then so impactful. The story also focuses on The Loners, single people who live in the forest in order to escape from the clutches of the couple-centric society. Forbidding any romantic acts, even flirting, the second half with The Loners focuses on another side of looking into the relationship culture spectrum: being in a relationship if everyone was single. The relationships this portion focuses on are the type where those involved want to be with each other not just so they can be in a relationship. It's because they actually want to be with each other. As heart warming as this plot line is, said plot line and new setting is no where near as interesting as the film's first half. Half of the suspense is gone being away from the hotel. The replaced characters aren't really as interesting as those left behind. It's like jumping from the series finale of Friends straight into Joey. The film's most interesting element of its premise, the threat of being turned into an animal, gets thrown out of the window. There's only traces remaining in the second half, being animals strutting around the forest (the odd flamingo here and there) and replaced with the romance plot. We're treated with a look into the attitudes of other parts of society in this world and what one might do to keep in a meaningful relationship, which is interesting new territory. However, as soon as David is no longer within the realm of the hotel, it feels the rest could have been cut off as a separate film, one that's only half as compelling and nowhere near as enthralling. 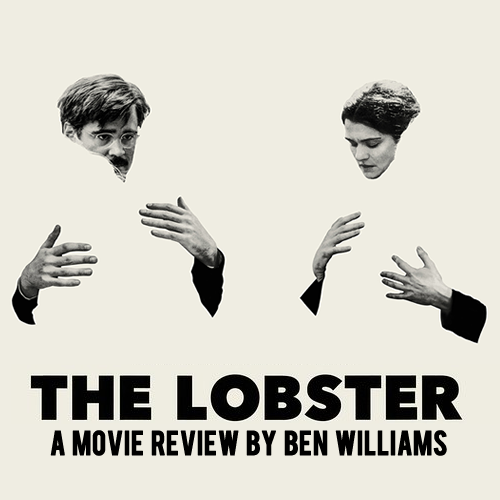 With a sense of humour that isn't for everybody, The Lobster hits hard with what those who love social satire will heavily enjoy. It continuously pokes fun at our relationship-obsessed society, coating it in a trippy, metaphoric fantasy world of dark humour. At least that's how you'd describe the film's first half. Whilst you're compelled to see David's quest for romance and keeping all his human bits until the end, you'll be constantly reminding yourself that what you were seeing an hour ago was far more interesting than what you're seeing now. It almost makes you feel let-down. Nevertheless, that first half is so good, not watching The Lobster means you're missing out on some substantial comedy targeting societal constructs.